Low airflow is an air conditioning problem that we often see homeowners trying to deal with on their own, but if your home isn’t as cool as you want it to be you don’t need to settle. Additionally, if your airflow isn’t as powerful and you’re experiencing uneven heating and cooling you can benefit from repairs. Call our team today and have them come out and fix your system. Another warning sign that you need air conditioning repair is any odd sounds coming from your unit. An air conditioner that’s malfunctioning can make a surprising range of sounds. There are noises that you might not think twice about like rattling or clicking, and sounds that are immediately concerning, like screeching or clanking. If any noise is excessive and persistent, you need the help of a technician to determine the cause and to repair the system. If you notice that your air conditioning system is leaking water, then you’ll need repairs. This is a sign that your air conditioner isn’t functioning correctly as well as a risk for water damage or further damage to your system. Leaks like this are common in our humid South Carolina climate. If the drainage pan becomes clogged with dust, dirt, or mold from an excess amount of water it can cause the condensation to overflow resulting in a leak. A smell coming from your air conditioning unit is much less common than other urgent air conditioning needs. The most common smell that comes from a malfunctioning air conditioning unit is burning. A burning smell indicates that there is an electrical complication in your system that needs the immediate attention of a certified technician so that it doesn’t increase in severity. 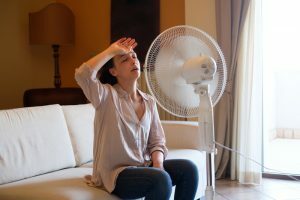 If you’re frustrated over an increased energy bill and can’t understand the increase, it’s likely because your air conditioner isn’t running efficiently. The issues listed above in this article often cause decreased efficiency. A repair will solve issues, increase efficiency, and decrease your energy bill. We rely heavily on our air conditioners in this muggy South Carolina heat, don’t delay repairs when your system isn’t functioning at peak performance. Minor issues develop into major issues over time. At Fulmer Heating & Cooling we have more than 30 years of experience in the HVAC business and pride ourselves on using the best quality products and providing superior service. If you’re having AC troubles and need expert repairs, contact us to schedule a service.